Recently remodled in 2018: The master bedroom was expanded to twice its former size with more closet space and 10 foot ceilings. A second floor living room was added with an ocean view, four walls of windows with beautiful views of Duck and a small balcony towards the ocean. Have you been working too much? Maybe you need less overtime at the office and more Overtime at the beach! 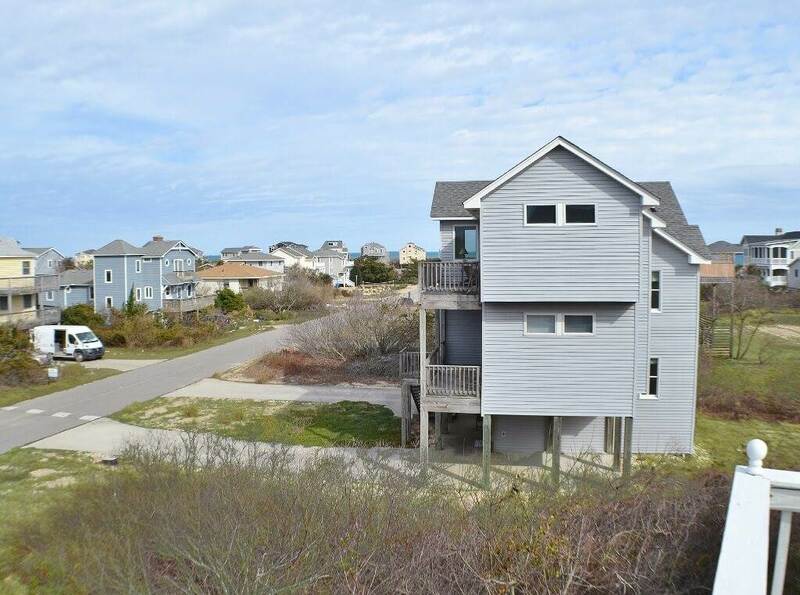 Located in the Bayberry Bluffs subdivision and only 230 yards to the beach, this home is a perfect place to kick back and relax. Your family will love spending time together in the living room that features vaulted ceilings, beautiful tile floors, a fireplace, comfortable leather sofas, and a 42” high definition flat screen TV. With a dining table that seats six and a second table in the living room for three more, everyone can enjoy meals together. 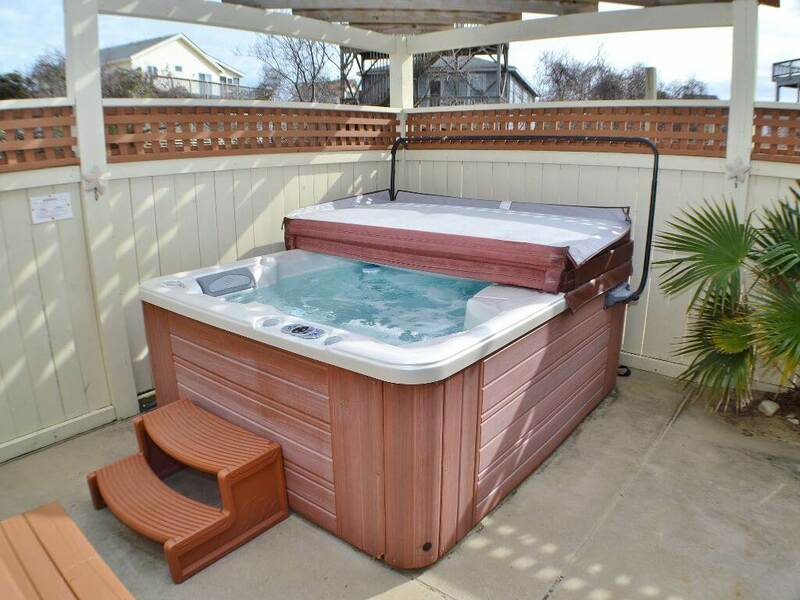 Let the kids play a game on the Playstation II while you soak in the hot tub. Surf the internet or stay caught up at work using the complimentary internet connection. The expansive decks and ground level patio area is perfect for outdoor lovers. Overtime is a pet-friendly home, so plan on bringing the entire family, including the four-legged members! 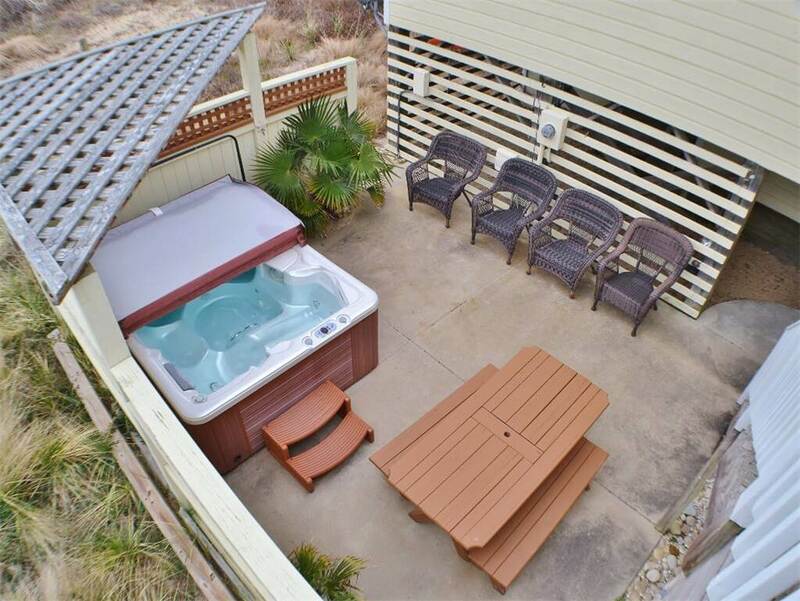 Reserve Overtime for your next Outer Banks vacation and leave your worries at the office! GROUND LEVEL: Covered parking; Enclosed outdoor shower; Patio with hot tub; Master bedroom with queen bed, private bath, and patio access; Laundry/storage room. NOTE: There is no interior access from main level to ground level.